This morning an unexpected surprise was waiting for me when I went through my email. 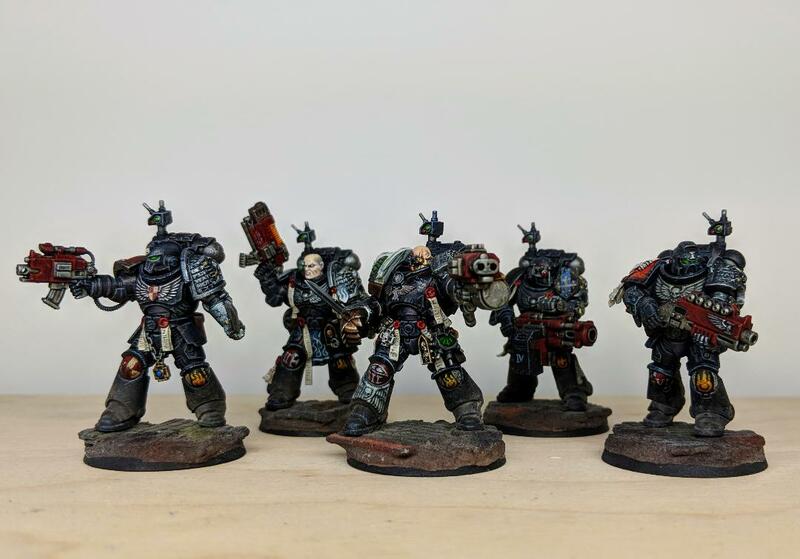 There, at the top of the inbox, was a message from my friend Peter Hudson (also known as PDH across the world wide internets, one of the pillars of the inq28 community and an all-around nice guy) with some images attached. 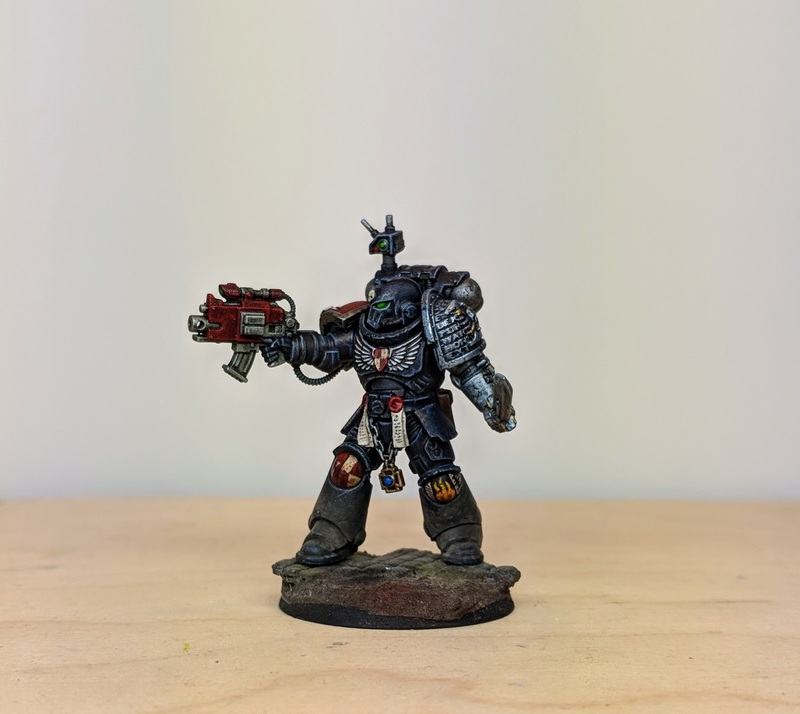 Peter has been working on a Deathwatch kill-team for quite a while and to my utter delight he had chosen to turn the fifth member of the squad into a Metatron marine. Morning buddy! He is finished - meet Kran Seger, Kill Operative of the Deathwatch & The Metatron Chapter. I am so pleased with this one. 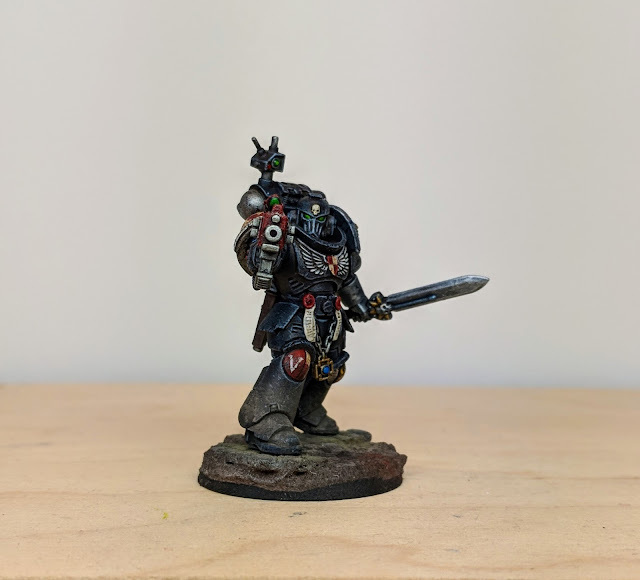 He is based on the Primaris Ancient, from the start set. I bought it specifically for the banner arm for my librarian. 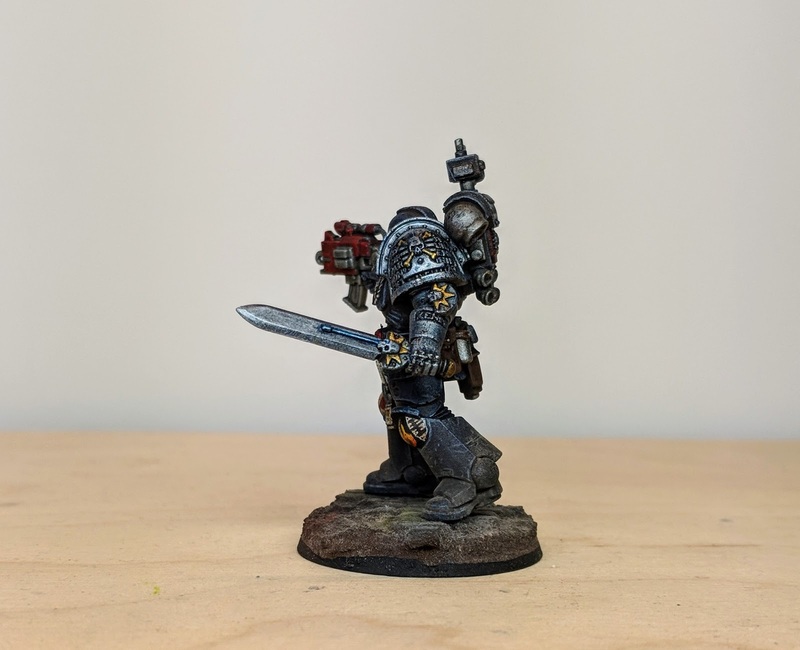 I liked the foot pose so much I had to use the "leftovers" for a marine. What better than to use a Metatron as the pose was so imposing, like the chaps you brought along to Rhossum Secondus. 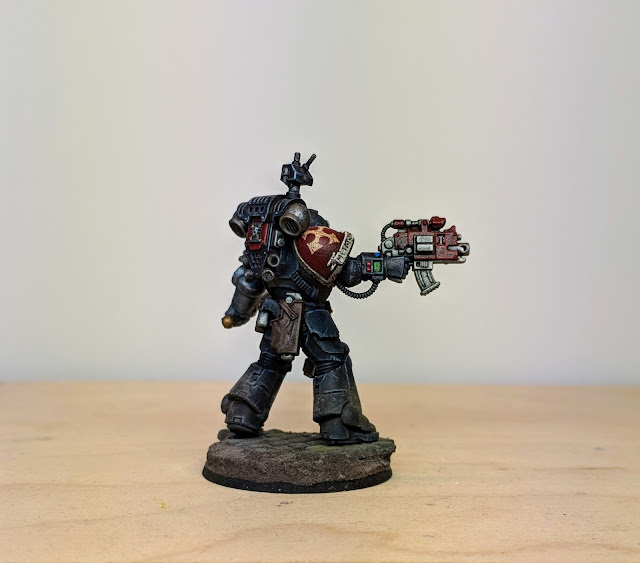 I also remember you saying how much you liked the MK5 helmet so added that in and pawed over pics of your Metatron marines for iconography pointers. It was fun copying the shoulder pad and trying to get the colours right (and different from my Deathwatch red), though I think mine is a little more bone coloured than white like your chaps..
A beautiful squad full of the subtle detailing that is emblematic of Peters work. Great stuff!